Jim Fallon is a Clydebank FC legend. He spent his entire playing career at Kilbowie Park covering 18 seasons and just shy of 800 appearances. 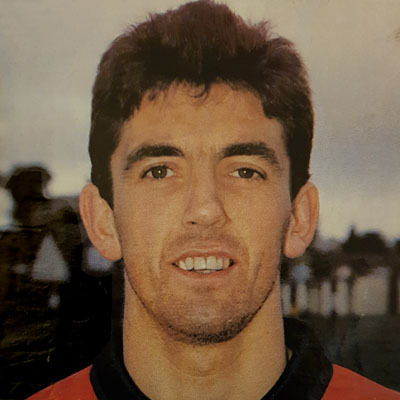 He joined the backroom staff once he retired and only finally severed ties with the club to join Airdrie in the summer of 1987 ending a 20 year association. The following summer saw Bankies coach Sammy Henderson step back from the club after seven years in charge. The logical conclusion was to bring Jim back in to the fold. 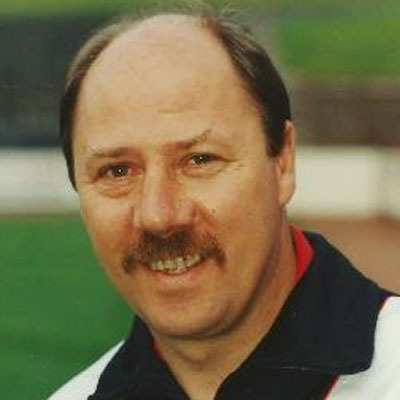 Jim enjoyed five seasons in charge of the Bankies and led the club to several promotion challenges, finishing third in his first two seasons. The undoubted highlight of his tenure was leading the club to the Scottish Cup semi-final for the first and only time in the club's history losing narrowly to Celtic at Hampden in front of 35,000 spectators. The 1990s brought a watershed moment for the club and Scottish Football in general. There were a number of bigger clubs who had under performed during the 1980s including Dunfermline, St Johnstone and Kilmarnock amongst others. These clubs began to re-assert themselves and Clydebank's glory days were firmly behind them as it became more difficult to compete with clubs that had four or five times the size of support. Jim Fallon continued to keep the club competitive in the first division, but sadly at the wrong end of the table as the club found itself in relegation battles which had been alien to supporters for almost 15 years. With the club re-doubling its efforts to bring through more youngsters, Clydebank's owners wanted to make Fallon's role full time. Unfortunately, Jim was a physiotherapist outside of football and was unable to accept this new situation. This led to Jim leaving the club in the summer of 1993 to be replaced by Brian Wright.